Sixteen Mile Gorge on the upper Shotover River, with Mt Lima (2310m) in the Richardson Mountains beyond. 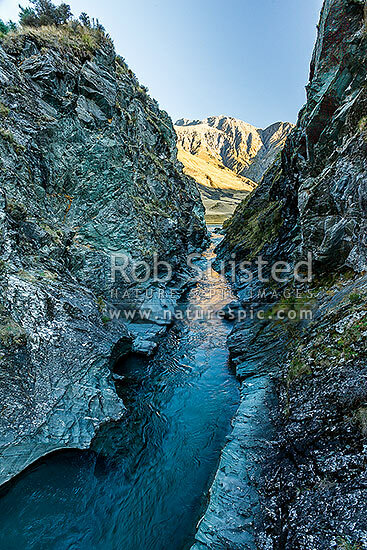 A dramatic cleft in rock carrying the Shotover River. Branches Station, Shotover River Valley, Queenstown Lakes District, Otago Region, New Zealand (NZ), stock photo.